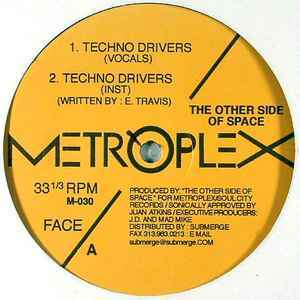 This is a perfect example of the early techno, the days when techno and electro comes together. Detroit Techno and Miami Bass? That oscure rythms: funky, dirty, warm, fun, and colorfull. Hard bass, repetitive sampled voices, little dust, boing! boing! boing!. Kraftwerk, Afrika Bambataa and Underground Resistence working togheter. Today everything is more abstract, colder and sometimes boring with the minimal scene, even though I really like the minimal sounds. Do you thing we lost something with the years? I miss the days when techno sounds like this!